My book club, Women Reading Women, selected the novel Boy, Snow, Bird, by Nigerian-born author Helen Oyeyemi, as our August read. 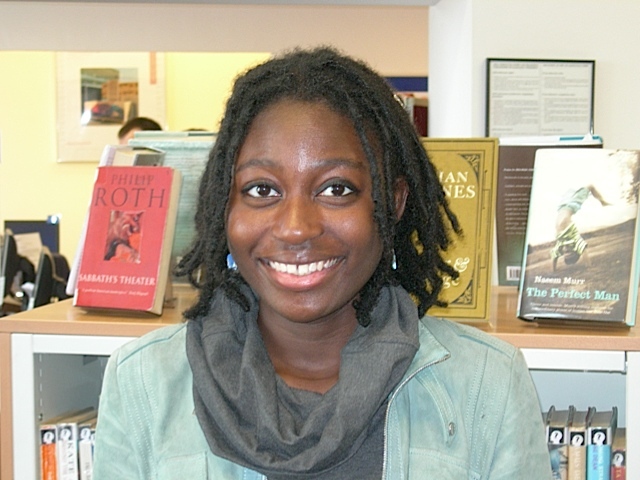 Hailed by reviewer Anita Felicelli, writing for The Rumpus (March 27, 2014), as “Oyeyemi’s most stunning novel to date,” and lauded by Porochista Khakpourfeb, writing for The New York Times (Feb. 27, 2014), as the product of “a culmination of a young life spent culling dreamscapes,” and the book that the author has been “waiting for” (as in, waiting her whole life to write), I was ready for some literary razzle-dazzle in Boy, Snow, Bird. You know what kind of razzle-dazzle I mean. Téa Obreht in The Tiger’s Wife. Karen Russell in Swamplandia! Award-winning fiction. Boy, Snow, Bird occupies the same terrain as those books, the same mental landscape– or the place in literary fiction that we call (wait for it–) magical realism (gasp! ), which, in commercial fiction, is simply called fantasy. The distinction in category is made because magical realism (gasp!) faces the world’s ugliness in all its grotesquery (double-gasp! ), while fantasy simplifies the good/evil dichotomy to make its plot points more entertaining. As you might be able to tell from my gasping, I am so over being highbrow about all of this that I’ve permanently smashed my teacups. Consider me sitting in the mud with the fantasy writers, slurping some McDonald’s hot chocolate from a plastic Batman mug. Can I make it any more clear that I am an ogre? A philistine? A hot-chocolate drinking barbarian? Barbarians shouldn’t read Boy, Snow, Bird. Let me just put it that way. and I haven’t read her previous four novels. Boy, Snow, Bird is my first exposure to her as an author. And if I seem like I have a bunch of sour grapes over the fact that I wasn’t born in Nigeria, raised in London, dropped out of the Columbia MFA program, wrote my first novel as a teenager, and all of the rest– well, I’m sorry. This isn’t about sour grapes. That a book with the structural problems of Boy, Snow, Bird can still receive so much glowing critical praise. Because how can I be the only person who read this book and thought, “What in the (bleeping) (bleep)?” by the end? So let me explain why this book, which is only 308 pages long, and should have taken me, at most, two days to read, ended up consuming a week of my time. The delay was due to dread. Dread of turning any more pages. A dread that only came into existence because the first 46% of this novel *is* brilliant. That initial 46% is narrated by a young woman named Boy Novak, who grows up with a terrifyingly abusive father called the rat catcher (because he catches rats). Boy is a beautiful white girl, with white-blonde hair, and when she is 20, in 1953, she runs away from the rat catcher (who lives in NYC), gets on a bus, and hops off in a town called Flax Hill, Massachusetts. Once in Flax Hill, Boy makes some new friends, and she meets Mr. Right, a man named Arturo Whitman. Arturo is a widower, has a gorgeous pale-skinned seven-year-old daughter named Snow, and when he is with Boy, he is a good lover, since she tells us, “the touch of his fingers made me feel like a million bucks” (p. 64). 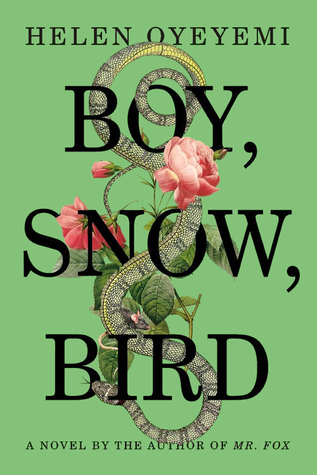 What greater testament can I give to how enjoyable the first 46% of Boy, Snow, Bird truly is, than the fact I can quote a cliché that horrible, and still say I was loving the book at that point? I might slurp my hot chocolate, but I do have some barbarian pride. I love dark fairy tales, and magical realism, and I love books about race, and brutality, and thorny, difficult love. I’ll take all of that in my hot chocolate mug. Fill ‘er up. But then I arrived at the second half of the book. When Boy Novak Whitman stopped narrating the story. So Boy reacts by sending Snow, Arturo’s pale-skinned 7-year-old daughter, away. Boy banishes Snow to go and live with a dark-skinned aunt somewhere else, far from Flax Hill. The next 40% of the novel is narrated by Bird, now 13 years old, writing in her diary. Her voice is peppy, snooty, tweeny-teen-speak. And what does Bird enjoy doing the most? Why, showing off how oh-so-incredibly smart she is. So much smarter than those dumby-dumb dopey grownups around her. Because Bird talks to spiders! And doesn’t always appear in mirrors! She is magic! She makes up her own fairy tales! And even though it’s only 1967, and plenty of women in America are still overwhelmingly ashamed and ignorant of their female body parts in 1967– not Bird! Because she is so smart! Bird already knows all about stuff like menstruation (duh!) and has a boy her own age who is a perfect gentleman and totally in love with her (of course!) because she’s the prettiest girl in the school! Plus, she writes all this fabulous stuff in her diary! All about how much smarter she is than those doo-wap fuggledy grownups around her. I mean, really! Grownups! Aren’t they so dumb? No one can ever be as smart and precious as Bird! No amount of screeching on my part could bring Boy back as the narrator. Not until the second half of the book was almost over. Cutsie little Bird, who is oh so much smarter than those silly old grownups, inspired my dread. Turning pages became agony. And I kept putting the book down, wishing I could just skip book club in August and not finish. But I finished. And here is why I thought, “What the (bleeping) (bleep)?” by the end. Bird writes in her diary for many pages (which is boring in and of itself, someone can please shoot me in the head if I start adding long diary passages in any novel I write, thanks). After all of the diary pages, the reader gets to see Bird actually interacting with people in scene for a bit (her snooty cuteness and tweeny-teen speak in action), and then we get the joy of reading a long (long!!) section of epistolary correspondence between Bird and her banished half-sister, Snow. Want to know how much I love reading long epistolary correspondence in books? So I slogged through the letters. Bird’s snooty cutie-cuteness reached unbearable heights. We go back to Boy. For the final 14% of the novel, we are back in Boy’s head. All the build-up between Bird and Snow gets dropped, a secondary character from the first section of the book takes center stage, and the story turns into some kind of bizarre-o mystery tale, wherein the secondary character comes to Boy to reveal answers to questions no one was even asking throughout the first 86% of the novel, but now those out-of-nowhere questions and revelations are all shared in paragraph-long monologues by this secondary character, and these revelations assume the utmost importance in the final pages. If I’m going to heap praise on a novel– the sort of exuberant praise of a rave review– I have to be able to praise the novel as a whole. Not just the first 46% of it (clichés and all). The reason those sentences don’t feel like moralizing is simply because the structure of the book falls apart after Bird takes over as narrator. The mystery element of the novel wasn’t developed in the first half of the story, or in the second 40 percent of the book, so the revelatory ending is a fly ball to right field, after the coach told the hitter to bunt. Boy’s final reflections on race, fleet and fleeting as they are, are like the center-fielder in this scenario: completely unnecessary to the final play of the game. The ball is scooped up in right and thrown in– the center-fielder has nothing to do with it. As to Helen Oyeyemi, I like reading about cosmopolitan writers, and I hope she writes more books about race. I just hope they have better plots. And no more tweeny-teen speak with cutie-pie narrators. By the end of this novel, I hated Bird, felt cold and dispassionate about Boy, and Snow emerged as the most decent (and believable) human being in the whole story. Even I know, slurping my hot chocolate, that this was probably not what the author intended.